CONTRIBUTER (IRE) (Bay 2010-Stud 2016). Champion Miler in Australia in 2014-15. 8 wins-1 at 2-from 1400m to 2000m, £109,264, A$988,700, ATC Ranvet S., Gr.1, Chipping Norton S., Gr.1, Apollo S., Gr.2, MRC David Jones Cup, Gr.3, Royal Ascot Wolferton H., L, Kempton Magnolia S., L, 2d Chester Dee S., Gr.3, 3d VRC LKS Mackinnon S., Gr.1, Sandown Gordon Richards S., Gr.3. Half-brother to SP Saimaa. His oldest progeny are yearlings. Little Hottie (f. by O'Reilly). Winner at 1450m in Aust. Flying Meg (f. by Ocean Park). Placed at 3 in 2018-19 in NZ. Veuve Clicquot (f. by Rock 'n' Pop). Placed at 2 in NZ. Clouds of Glory (f. by Savabeel). Placed at 3 in NZ. MEGAN'S TOUGH LOVE (Rahy). 2 wins. See above. Capricornus. 5 wins-1 at 2-from 1450m to 3400m in GB and Germany. Favorite Partner. 5 wins-2 at 2-from 6f to 9f in Puerto Rico. Hector Ramon. 3 wins-1 at 2-to 1200m in Uruguay. Higher Point. 2 wins at 1m, 8½f in U.S.A.
Chaloua. Winner at 1100m in Uruguay. LAKESHORE ROAD (Alleged). 6 wins from 6½f to 1½m, US$317,526, Arlington Park Stars & Stripes H., Gr.3, Churchill Downs Allowance-twice, 3d Keeneland Sycamore S., L, Remington Park Edward J Debartolo Sr Memorial H., L. Sire. MALITZIN (Dynaformer). 3 wins at 1m, 8½f, Calder Noble Robyn S., L, 4th Calder Gene's Big Sky S., L. Producer. Random Move (Empire Maker). 4 wins from 1m to 8½f, 3d Fair Grounds Grindstone S., L.
Juranville (Kinshasa No Kiseki). 2 wins at 2 in 2018, 3d Kyoto KBS Kyoto Sho Fantasy S., Gr.3, Hanshin Kikyo S.
Trippi's Secret (Trippi). 5 wins-2 at 2-at 5½f, 6½f, 2d Laurel Dancing Count S., L, 3d Charles Town Robert Hilton Memorial S., L, Laurel Dave's Friend S., 4th Pimlico Chick Lang S., L, Ocala OBS Sprint S. (c&g), L.
Noble Sheba (Alysheba). 5 wins at 1¼m, 11f, Belmont Allowance-twice, Saratoga Allowance, 3d Belmont Lawrence Realization S., Gr.3. Being King (Rahy). 2 wins at 1m, 9f, Churchill Downs Allowance, 3d Louisiana Downs Temperence Hill H., L.
AJDAL (Northern Dancer). Champion Sprinter in GB and France in 1987. 7 wins-3 at 2-from 5f to 1m, US$383,227, Newmarket Dewhurst S., Gr.1, July Cup, Gr.1, York William Hill Sprint Championship S., Gr.1, Haydock Sprint Cup, Gr.2, Newmarket Craven S., Gr.3, 4th The Two Thousand Guineas, Gr.1. Sire. ARYANOUSH (Local Talent). 7 wins from 1200m to 1800m in India, Hyderabad Alcock Barb S., L, 2d Hyderabad Golconda Oaks, L. Producer. INTEGRITY (Local Talent). 4 wins-2 at 2-to 1400m in India, Hyderabad Byerly Turk S., L, 2d Hyderabad Golconda One Thousand Guineas, L. Producer. HERECOMESTHEBABE (Local Talent). 3 wins at 1400m, 1600m in India, Hyderabad Alcock Arabian S., L. Producer. DESPERADO (Win Legend). 3 wins at 1400m, 1600m in 2018 in India, Bangalore Summer Million, L, 3d Pune Derby, L.
DEJA VU (Black Cash). 6 wins to 1400m in India, Bangalore Juvenile Sprinters' Million, L.
AREZZO (Rock Hard Ten). Champion Miler in Peru in 2014-15 & 2016-17. 13 wins from 1000m to 1600m in Peru, Monterrico Clasico OSAF, Gr.2-3 times, Clasico Coronel Alfonso Ugarte, L-twice, Clasico Galeno, L, 2d Monterrico Clasico Perinox, L, Clasico Enrique Martinelli Tizón, L, 3d Monterrico Clasico Jose Rodriguez Razzeto, Gr.3, Clasico Juan Magot Rosello, L, Clasico Enrique Martinelli Tizón, L.
HAMPSTEAD HEATH (Macho Uno). 8 wins from 1m to 9f, US$598,168, Woodbine Halton S., L-twice, 2d Woodbine Nijinsky S., Gr.2. AWESOME HERO (Awesome Again). 3 wins-1 at 2-at 6f, Turfway Park Hansel S., L, 3d Fair Grounds Mardi Gras S., L.
WANETA (Mountain Cat). Champion 2YO Filly in Turkey in 2016. 7 wins-6 at 2-from 1000m to 1600m in Turkey, Istanbul I. Inönü, L, Çaldiran, L.
JOYEUX DANSEUR (Nureyev). 8 wins from 1m to 9f, 7,000fr., US$643,880, Churchill Downs Turf Classic S., Gr.1, Fair Grounds Explosive Bid H., Gr.3, Fair Grounds Breeders' Cup S., L, Colonel ER Bradley H., L, Keeneland Allowance Race, Saratoga Allowance Race-twice, 3d Churchill Downs River City H., Gr.3, 4th Keeneland Breeders' Cup Mile S., Gr.2. Sire. CENTRE COURT (Smart Strike). 7 wins from 1m to 9f, US$961,048, Keeneland Jenny Wiley S., Gr.1, Churchill Downs Mrs Revere S., Gr.2, Saratoga Lake George S., Gr.2, Gulfstream Park Honey Fox S., Gr.2-twice, Churchill Downs Regret S., Gr.3, 2d Keeneland Queen Elizabeth II Challenge Cup, Gr.1, Saratoga Lake Placid S., Gr.2, 4th Belmont Just a Game S., Gr.1, Keeneland First Lady S., Gr.1, Saratoga Ballston Spa S., Gr.2. RAVEL (Fusaichi Pegasus). 3 wins-1 at 2-at 8½f, 9f, Santa Anita Sham S., Gr.3, 4th Santa Anita San Fernando S., Gr.2, Hollywood Park Native Diver H., Gr.3, Aqueduct Stuyvesant H., Gr.3. Sire. ANNULMENT (Broken Vow). 5 wins-1 at 2-from 1m to 9f, US$299,903, Arlington Park Hatoof S., L, 3d Indiana Grand Indiana General Assembly Distaff S., L-twice. YOUNGEST DAUGHTER (The Factor). 3 wins at 1m, 8½f, US$205,635, Indiana Grand Tawee S., L, 3d Indiana Grand S., L.
EAGLE CAFE (Gulch). 5 wins-1 at 2-from 1600m to 2000m, €9,975, 488,372,000¥, Tokyo NHK Mile Cup, L, 3d Longchamp Prix Dollar, Gr.2. Sire. MARIANNE ROSE (More Than Ready). 3 wins at 2, Fairplex Bustles & Bows S., L, Hastings Park Lassie H., L. Producer. ARAZI (Blushing Groom). Champion 2YO in USA. 9 wins-7 at 2-from 1000m to 1700m, 3,970,000fr., US$520,000, Deauville Prix Morny, Gr.1, Longchamp Prix de la Salamandre, Gr.1, Grand Criterium, Gr.1, Breeders' Cup Juvenile S., Gr.1, Longchamp Prix du Rond-Point, Gr.2, Maisons-Laffitte Prix Robert Papin, Gr.2, Longchamp Prix du Bois, Gr.3, Saint-Cloud Prix Omnium II, L, Evry Prix La Fleche, L, 3d Longchamp Prix du Prince d'Orange, Gr.3. Sire. NOVERRE (Rahy). Champion 3YO Male Miler in GB in 2001. 5 wins-4 at 2-from 1000m to 1600m, £610,280, 580,490fr., US$400,000, 183,000Dhs, Goodwood Sussex S., Gr.1, Doncaster Champagne S., Gr.2, 2d Deauville Prix Morny, Gr.1, Ascot Queen Elizabeth II S., Gr.1, Royal Ascot St James's Palace S., Gr.1, Goodwood Sussex S., Gr.1, Newmarket Dewhurst S., Gr.1, Newbury Lockinge S., Gr.1, Nad al Sheba Dubai Duty Free S., Gr.1, 3d York International S., Gr.1, Deauville Prix Jacques Le Marois, Gr.1, Newmarket Champion S., Gr.1. Sire. CIRCLE OF BLISS (Singspiel). 4 wins from 1600m to 2000m in India, Pune RWITC Gold Cup, L, Fillies & Mares S, L. Producer. MEISHO QUALIA (Manhattan Cafe). 4 wins-1 at 2-from 1800m to 2400m, 191,379,000¥, Hakodate Tomoe Sho, L, Kyoto Shimbun Hai, L.
DIAMOND DUST (Paynter). 3 wins at 2 in 2018, Thistledown Juvenile S., L, Belterra Park Hoover S., L.
PREMARDAL (Shamardal). 5 wins-1 at 2-from 1100m to 1600m, A$298,050, WATC Jungle Dawn Classic, L-twice, Starstruck Classic, L.
FANCY FUSAICHI (Fusaichi Pegasus). 4 wins at 1m, 8½f, US$236,499, Prairie Meadows Iowa Distaff S., L, 4th Ellis Park Gardenia H., Gr.3. Producer. FANCY POINT (Point Given). Winner at 2, Saratoga PG Johnson S., L, 3d Belmont Miss Grillo S., Gr.3. Producer. LOVEMELIKEAROCK (Fastnet Rock). 3 wins from 1300m to 1600m, A$265,440, Newcastle JC Spring S., Gr.3, AJC Angst S., L, 2d AJC Sweet Embrace S., Gr.3, 3d AJC Furious S., Gr.2. Producer. LOVETORN (Giant's Causeway). 6 wins at 2000m, 2400m, R337,750, Arlington Jockey Club S., L, Fairview Racing Association H. Producer. OUTTA HERE (Dehere). 3 wins-2 at 2-at 1m, 9f, US$557,167, 368,000Dhs, Delta Jackpot S., L, 3d Hollywood Park Swaps S., Gr.2. TAYLOR'S SPIRIT (Algorithms). 4 wins at 2 in 2018, Delta Downs My Trusty Cat S., L, 3d Oaklawn Park Martha Washington S., L.
COUPE DE VILLE (Clodovil). 6 wins-4 at 2-from 1400m to 2000m, £323,200, €12,000, 257,340SAR in GB and Saudi Arabia, Salisbury Stonehenge S., L, 3d Chantilly Prix Paul de Moussac, Gr.3. FANTASTICO ROBERTO (Refuse to Bend). 3 wins-2 at 2-from 1100m to 1800m in U.S.A. and Italy, Monmouth Choice S., L, 3d Woodbine Summer S., Gr.3. Sire. SILENT ROAR (Unbridled's Song). 5 wins at 1m, 8½f, US$226,545, Monmouth Oceanport S., Gr.3, Meadowlands Paterson S., L, 2d Delaware Park Nick Shuk Memorial S., L, 3d Delaware Park Caesar Rodney S., L.
EXCHANGE RATE (Danzig). 6 wins-1 at 2-from 5f to 8½f, US$479,803, Belmont Tom Fool H., Gr.2, Fair Grounds Risen Star S., L, Santa Anita Allowance-twice, 2d Del Mar Best Pal S., Gr.3, Hollywood Juvenile Championship S., Gr.3, 3d Santa Anita Frank E Kilroe Mile H., Gr.2, Churchill Downs Winnercomm H., Gr.2, 4th Fair Grounds Louisiana Derby, Gr.2. Sire. SABRE D'ARGENT (Kris S). 5 wins from 8½f to 10½f, Haydock Rose of Lancaster S., Gr.3, Newmarket Fairway S., L, Doncaster Carling Extra Cold S., 3d Aqueduct Fort Marcy H., Gr.3. Sire. LEFT A MESSAGE (Mr. Greeley). 3 wins at 9f, 1½m, US$214,922, Woodbine Flaming Page S., L, 3d Aqueduct Long Island H., Gr.3. GALIKOS (Miner's Lamp). 6 wins from 1100m to 1900m to 2019 in Venezuela, La Rinconada Copa Starship Miss, L, 4th La Rinconada Clasico Eduardo Larrazal, L.
PLENIPOTENT (Iffraaj). 12 wins from 1100m to 1600m in India, Hyderabad Golconda Juvenile Million, L, Darley Arabian Million, L.
CATALEYA (Multidimensional). 4 wins-1 at 2-from 1000m to 1600m in India, Mumbai Breeders Juvenile Fillies Championship, L, 3d Hyderabad Golconda One Thousand Guineas, L.
STELVIO (Shirley Heights). 3 wins-1 at 2-from 1m to 2m, Royal Ascot Queen's Vase, Gr.3, York Sotheby's Sledmere S. Sire. SHINING EMERALD (Clodovil). Champion Older Sprint Horse in Germany in 2015. 9 wins-2 at 2-to 1400m, €210,535 in Ireland and Germany, Baden-Baden Goldene Peitsche, Gr.2, Munich Silberne Peitsche, Gr.3-twice, Curragh Blenheim S., L, Grosser Preis der Sparkasse Dortmund, L, 2d Leopardstown Two Thousand Guineas Trial, L, Munich Dallmayr Prodomo Trophy, L, Hoppegartener Fliegerpreis, L, 3d Leopardstown Killavullan S., Gr.3. YULALONA (Dubai Destination). 5 wins from 1500m to 2400m, A$390,585, ATC Summer Cup, Gr.3, AJC Dulcify H., L, 2d ATC Australia Day Cup, L, Frank Underwood Cup, L.
APPLEGATE (Exceed and Excel). Winner at 2, VRC Emirates Airline P., L. Producer. PETITE JACK (Champs Elysees). 7 wins from 1¼m to 1½m, Lingfield Quebec S., L, 4th Lingfield Churchill S., L.
DINNER AT ARLENE'S (Forestry). 5 wins from 5½f to 8½f, Emerald Downs Hastings Park H., L, Boeing H., L. Producer. DOUBLE WEDGE (Meiner Love). 3 wins-1 at 2-from 1200m to 1600m, 87,921,000¥, Hanshin Arlington Cup, Gr.3, 2d Kyoto Nikkan Sports Sho Shinzan Kinen, Gr.3, Hanshin Nishinomiya S.
B B BARREL (Pyro). 2 wins-1 at 2-at 1600m, Nakayama Fairy S., Gr.3, 2d Hakodate Onuma S., 3d Monbetsu Breeders' Gold Cup, L.
MACHIAVELLIANISM (Jazil). Champion Older Male in India in 2014. 16 wins at 1400m, 1600m in India, Hyderabad Deccan Colts Championship S., L, Mumbai Indian Two Thousand Guineas, L.
PILASTER (Nathaniel). 3 wins from 1¼m to 1¾m, £203,532, in 2018, Goodwood Lillie Langtry S., Gr.2, 3d Doncaster Park Hill S., Gr.2. QUEEN OF ICE (Selkirk). 4 wins-1 at 2-from 7f to 1½m, York Galtres S., L, Newmarket Princess Royal S., L.
DIMENSION (Medicean). 8 wins from 6½f to 8½f, £37,845, US$560,891 in GB, U.S.A. and Canada, Woodbine Play The King S., Gr.2, King Edward S., Gr.2, Connaught Cup, Gr.2, Fair Grounds Buddy Diliberto Memorial S., L, Kentucky Downs Turf Dash S., L, 2d Keeneland Commonwealth S., Gr.3, Woodbine Bold Venture S., Gr.3, 3d Woodbine Play The King S., Gr.2. GABR (Intello). 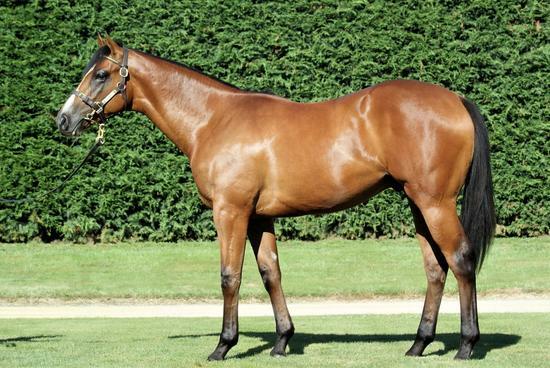 2 wins-1 at 2-at 1m, 1¼m, £105,833, to 2018, Goodwood Foundation S., L, 3d Newmarket Darley S., Gr.3. HAGADA (Roy). 5 wins-1 at 2- in Chile, Hipodromo Chile Clasico Seleccion de Potrancas, Gr.3, Copa Estanislao Anguita, L, Clasico Sociedad Hipica Luis Cousino, L, 2d Hipodromo Chile Clasico Tanteo de Potrancas, Gr.1. Producer. GRAND CANYON (Crary). 4 wins-1 at 2-at 1200m, 1900m in Chile, Hipodromo Chile Clasico Carabineros de Chile, L, 2d Hipodromo Chile Clasico Fernando Moller Bordeu, Gr.2. Northerly Native (Nijinsky). 2 wins at 2200m, 2400m in France and U.S.A, Saint-Cloud Prix de la Garenne, 2d Deauville Prix de Sassy, L, 3d Maisons-Laffitte Handicap de la Seine, L. Sire. SMART ROBIN (Deep Impact). 6 wins-2 at 2-from 2000m to 2600m, 162,415,000¥, Tokyo Meguro Kinen, Gr.2, Metropolitan S., L, Kyoto Hiei S., Sapporo Akanko Tokubetsu, 3d Tokyo Diamond S., Gr.3, 4th Hanshin Kobe Shimbun Hai, Gr.2, Osaka-Hamburg Cup, L. Sire. RED SOLOMON (Meisho Samson). 5 wins at 2000m, 99,819,000¥, Hanshin Wakaba S., L, Kyoto Andromeda S., L.
SUZUKA MAMBO (Sunday Silence). 4 wins-2 at 2-from 1800m to 3200m, 292,068,000¥, Hanshin Asahi Challenge Cup, L, 3d Hanshin Sankei Osaka Hai, Gr.2. Sire. QUEEN MAMBO (Manhattan Cafe). 4 wins at 1800m, 2100m, 121,922,000¥, Ohi Ladies Prelude, L, 2d Kyoto Heian S., Gr.3. RHEIN PRAYER (Kurofune). 6 wins-2 at 2-from 1200m to 1600m, 113,182,000¥, Niigata Tanigawadake S., L, Kyoto Kibune S.
DANCE FANTASIA (Falbrav). 3 wins-2 at 2-at 1400m, 1600m, 92,899,000¥, Nakayama Fairy S., Gr.3, 2d Tokyo Shonan S., 3d Hanshin Port Island S., L, 4th Fukushima Minyu Cup, L. Producer. DANCE IN THE DARK (Sunday Silence). Champion 3YO colt in Japan in 1996. 5 wins-1 at 2-from 1600m to 3000m, Kyoto Shimbun Hai, L, Kyoto Kikuka Sho, L. Successful sire. AIR DUBLIN (Tony Bin). 5 wins-2 at 2-from 1600m to 3600m, Nakayama Sports Nippon Sho Stayers S., L, Tokyo Diamond S., L. Sire. FEDERALIST (Empire Maker). 7 wins from 1400m to 2000m, 172,705,000¥, Nakayama Kinen, Gr.2, Nakayama Nikkan Sports Sho Nakayama Kimpai, Gr.3, Tokyo Welcome Premium, Nakayama Kamagaya Tokubetsu, 2d Hanshin Sankei Osaka Hai, Gr.2. Sire. CAFE IN LOVE (Cafetin). 4 wins-1 at 2-to 1400m in Uruguay, Maroñas Clasico America, L, Clásico Carlos Saenz de Zumaran. SWISS ACE (Secret Savings). 12 wins-2 at 2-to 1350m, A$952,600, MRC Oakleigh P., Gr.1, QTC Sir Byrne Hart S., Gr.2-twice, BTC Chief de Beers H., L, Toowoomba TC Weetwood H., L, QTC Brisbane Bloodstock 2YO H., BTC City Pacific Finance Franchisees H., QTC St John Entertainment H., 2d VRC Newmarket H., Gr.1, BTC Vo Rogue P., L, 3d BTC Cup, Gr.1, 4th AJC Galaxy H., Gr.1. Sire. SIR SUCCESS (Success Express). 4 wins-2 at 2-to 1200m, A$205,200, BTC Golden S., L, 3d BTC Champagne Classic, Gr.3. SMART MELODY (Smart Missile). 5 wins-2 at 2-to 1400m, A$292,895, to 2018-19, MRC Thousand Guineas Prelude, Gr.2, VRC Cap d'Antibes S., L, ATC Casino Prince at Vinery 2YO H.